After 10 years of playing competitive football, Marcus Arkarakas thought he knew the game pretty well. 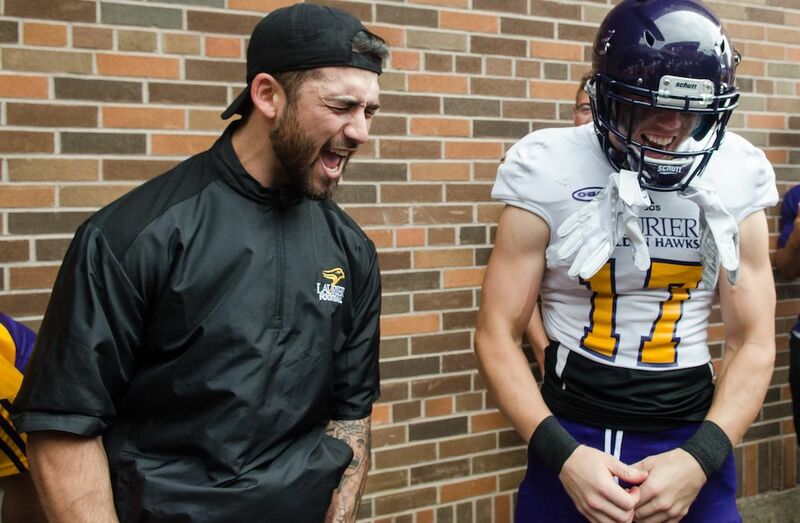 But it wasn’t until he began seeing the game from the perspective as the Golden Hawks’ offensive assistant coach, that he learned there is much more to football than the game itself. A Richmond, Hill, Ont., native, Arkarakas began playing football for the physicality and pure fun of the game. 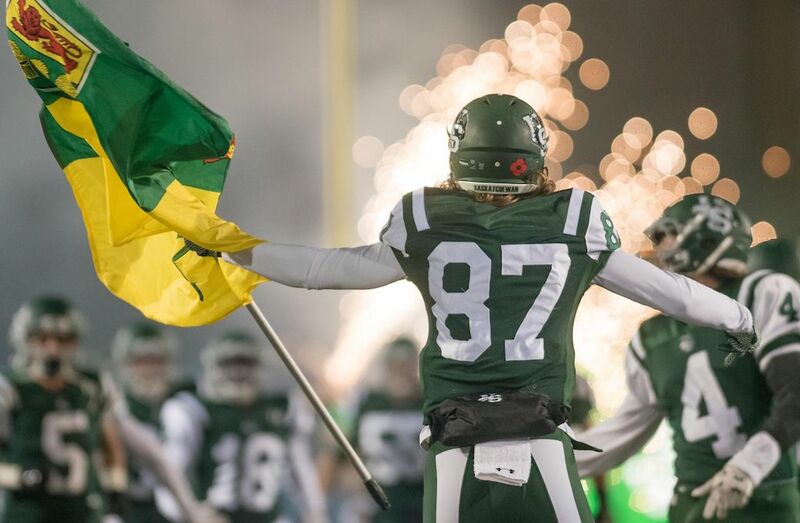 But when he saw that his abilities on the field were better, if not just as good as everyone else in high school, he became determined to do the same at the U SPORTS level. 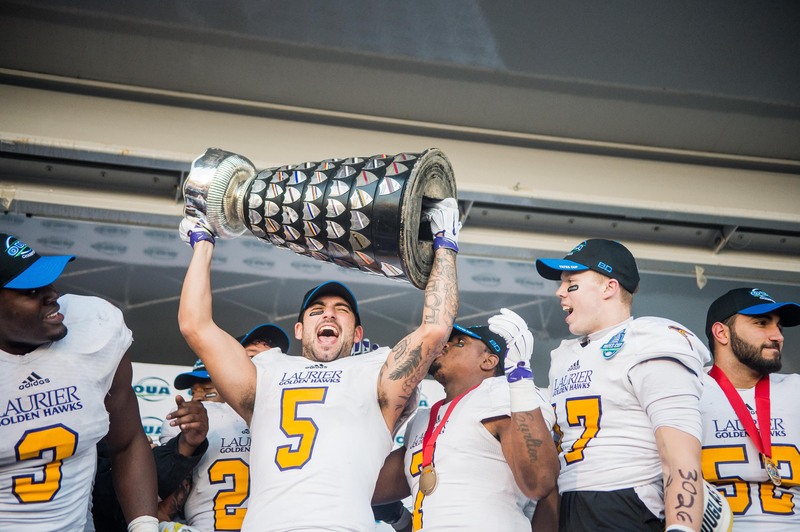 His talent and passion for football landed him at Wilfrid Laurier University after being recruited by current Golden Hawks head coach Michael Faulds. 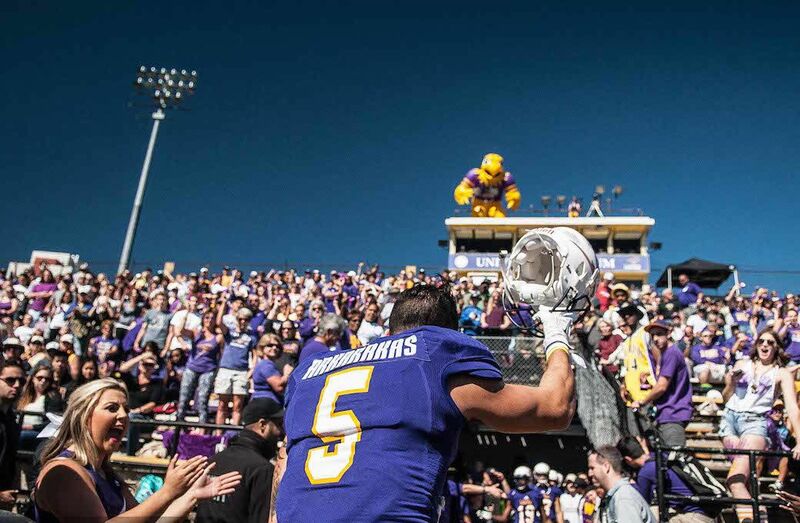 From there, the team would go from a 1-7 record in their first season in 2013, to 7-1 last year, hoisting the OUA’s Yates Cup en route to a Uteck Bowl national semifinal appearance. After a busy offseason which saw Arkarakas participate in the CFL Draft Combine, things were looking good for the six-foot, 200-pound wide receiver. But after tearing his ACL and meniscus during a practice session, plans changed. After a successful surgery, all he wanted to do was contribute to the team again. On a team where so many players are passionate about the game, Faulds couldn’t be happier with having Arkarakas on the coaching staff. 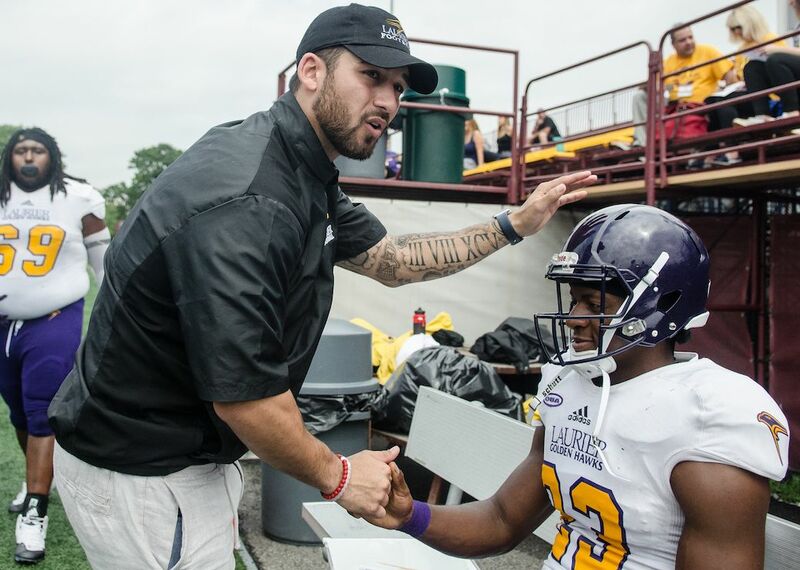 Getting the chance to join the York Lions coaching staff at age 25 as an offensive coordinator, Faulds understands the influence that young athletes like Arkarakas can bring to a veteran staff. There are certain guys that just see the game a little bit differently and Marcus always was one of them. With the support from everyone around him, Arkarakas is focused on getting healthy again. If all goes well, he’ll participate once again at the CFL Regional Combine in March. The team culture that Faulds has instilled has been one of hard work – exactly what Arkarakas pledges he will continue to follow.